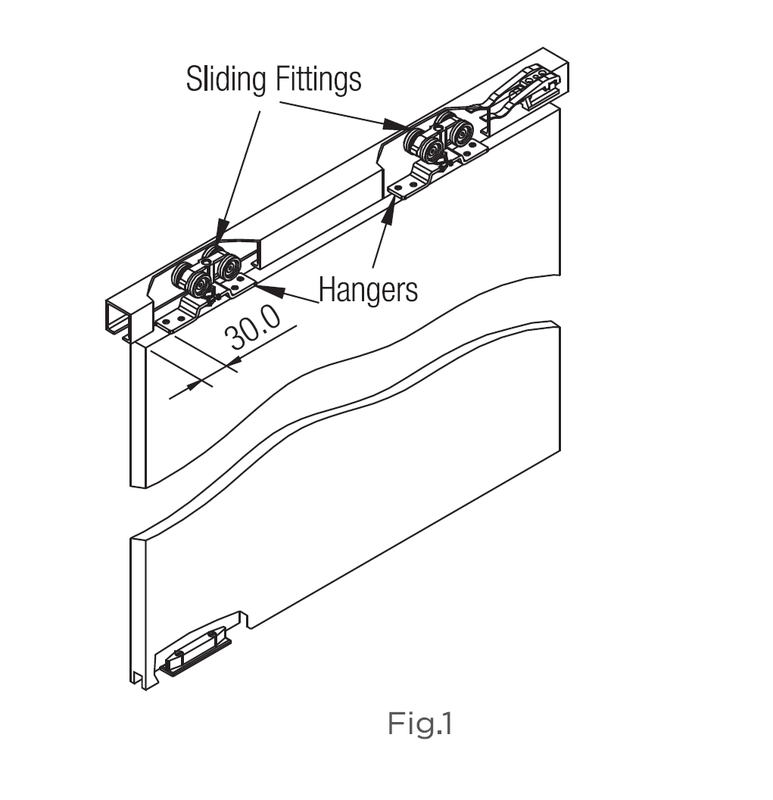 Standard model is provided with Hangers (2 nos.) Which are fitted at the top of the door (Ref. Fig. 1). 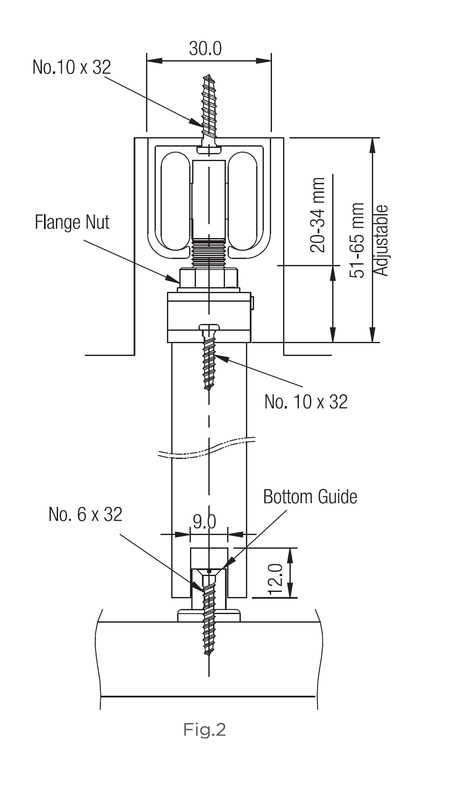 The bottom guides (2 Nos.) are fitted on the floor. 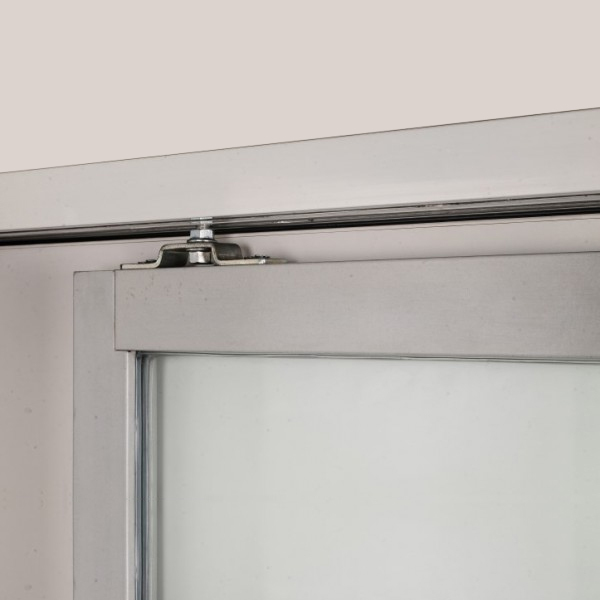 The groove required in the door is 9mm wide and 12mm deep (Ref. Fig 2.). 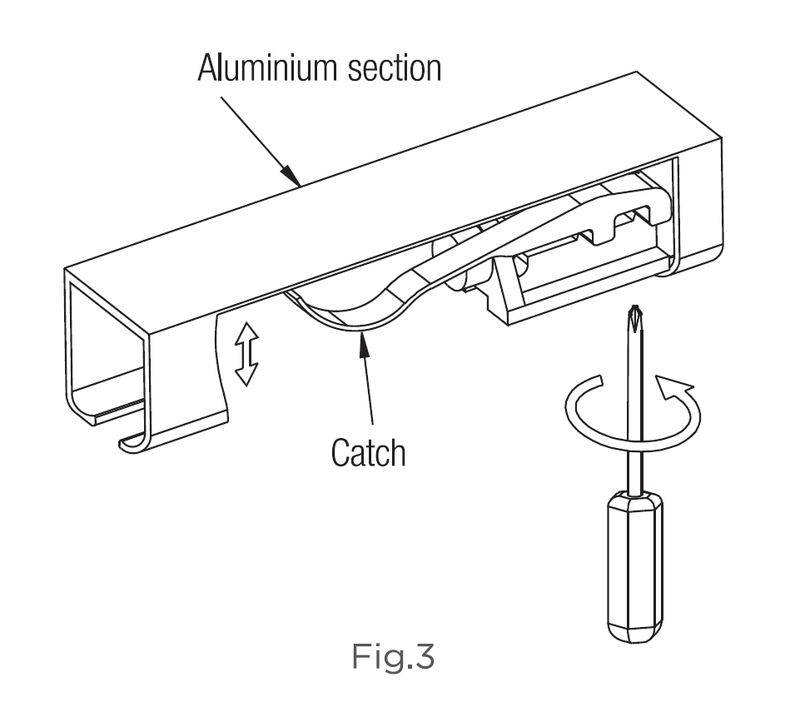 The catch is fitted in the aluminium section at both ends and can be adjusted for pressure. (Ref. Fig 3). 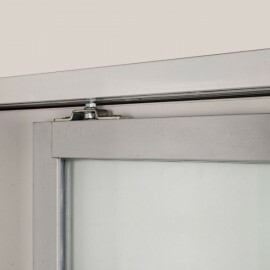 The door is hung on the sliding fitting and flange nut is tightened. 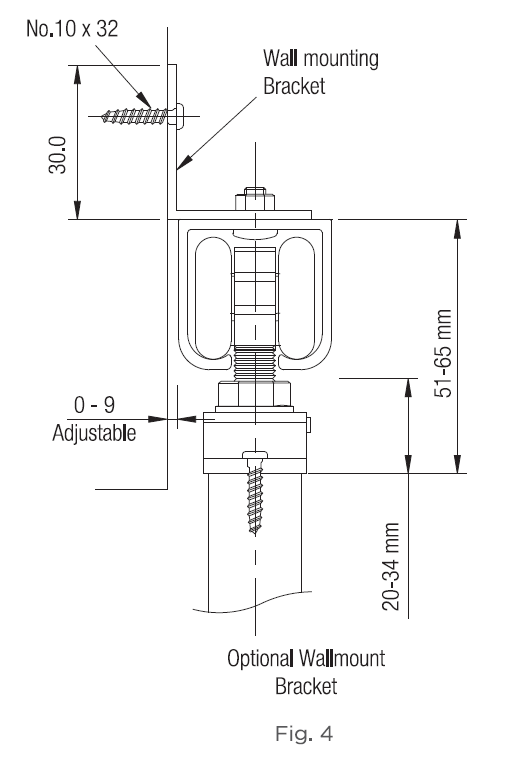 Height adjustment of 14mm is available (Ref. Fig. 2). 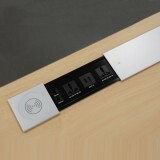 Optional wall mounting brackets are available. This is to be fitted every 600mm on aluminium section (Ref. Fig. 4).